What to Wear with a Vest. One of the best things about vests is how they can transform the look of a person completely. They are a staple clothing item in winters. However, contrary to what most people believe, a vest made of a light material can also be worn in summers. The look is very classy and can be sported casually as well. Since, it is such an important addition to one’s outfit, you should be well aware of how you can rock it. Here we have compiled ways you can don on a vest for this very reason. Wear a plain vest with a printed shirt and a printed one with plain shirt. Both the garments can be plain as well. A vest is a sleeveless upper and it should be worn with a sleeveless, full or three-quarters sleeves shirt. Half sleeves shirts rarely look good with vests. Wearing baggy jeans with an oversized vest isn’t a decision you should make. Only a jock can rock that look. Make sure you don’t pair colors that don’t go with each other. There are several types of vests but if we broadly categorize them then we could say that there are vests that are worn in winters and those which are worn in summers. Vests amplify the style of apparel when they are done justice. And how can you do that? You can do that by experimenting. Vests can be worn with tees and button downs, with skirts, palazzos, jeans, and shorts. You don’t add a vest to your jumpsuit though or other such items. Because when we experiment with clothes we don’t make absolutely absurd combinations. If you decide to wear a printed vest, try to go for a plain shirt and vice versa. Puffer Vests are perfect for colder days when you need to keep your trunk area warm and don’t want a bumper jacket that covers even your arms. Puffer jackets look best with button down shirts and jeans plus a pair of brown long boots. Black is a versatile color and contrasts almost every color perfectly. A black vest looks best with a black or blue jeans along with a shirt of a lighter color like sky blue or tee pink. White is the typical choice but it’s too common and gives a very formal look. A muffler of a different color can be added for a cool look. If you like the black leather leggings seen here then do have a look at these amazing Outfits with Black Leggings. Vest jackets look ultra modern. Try pairing them with different shirts for a chic look. Vests look very trendy with a pair of jeans. Be it cropped jeans, skinny jeans or ripped jeans, they look ideal with vests the way skirts never can. In summers, vests can be fashionably donned on over sleeveless dresses or shirts. Floral or funky printed vests would also be a great choice. You can wear a vest jacket with a tee and jeans or pair your vest blazer with a short and chic dress. If you love wearing florals then here are the most elegant Spring Outfits With Floral Jackets. For a perfectly smart look, wear a long vest over your dress. It looks very elegant. You can wear stilettos, pumps or any kind of footwear with it. Many people mock double denim but even more embrace the style. Admittedly, it can be challenging to pull off but a denim vest, plain or stripped shirt with a pair of jeans can look awesome. You can also wear a blue denim jacket with a pair of black leggings or white shorts. A denim vest will also look dashing with a pretty white dress. If you’re a fan of denim then do check out these Beautiful Denim Dress to Inspire your daily Fashion. Fur vests can either jazz up the look or ruin it. The thing is, a poor-quality fur coat always looks bad. But a sophisticated one worn correctly can cheer up a person’s appearance. Vests look as voguish with dress shirts as they do with tight tees. A vest worn over a button-down shirt with the sleeves folded will make for a style statement. You should also have a look at these hot and happening Shirt Dress Outfits. Leather vests look fancy and modish. A full black outfit with black skinny jeans, a fitted black shirt and black leather boots is bound to look arresting! Plaid vests also look very cool. Try sporting this look as well! Plaid is definitely the trend to go for this year, here’s a complete guide on How To Wear Plaid Coats. Quilted vests also look stunning. They are a must-have in winters. You can don on a vest over a woolen sweater and stay insulated along with stylish. A long vest looks very graceful and can make for the ideal work outfit. Like, men women can also rock a suit vest at their offices for an impressive change. 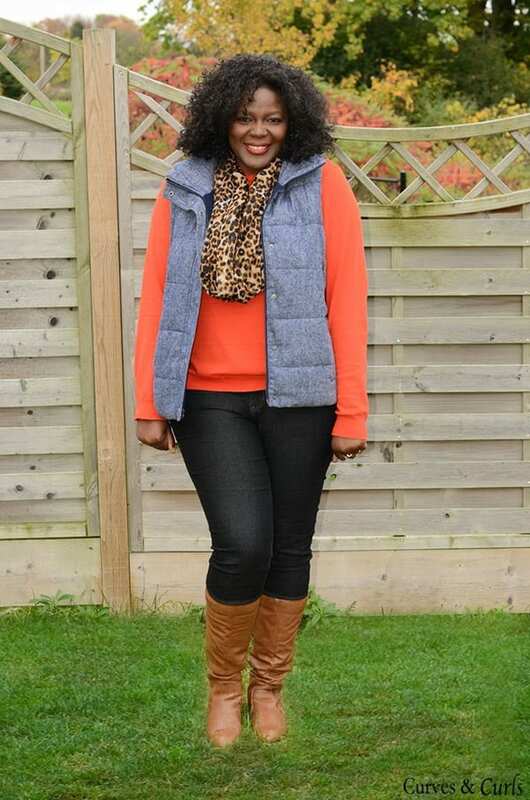 Hooded vests look very high-end when paired with jeans or leggings. With boots or sneakers worn for footwear, the overall is hip. Oversized vests look ultra modern when the rest of the outfit is fitted. Or when it is gracefully draped over a beautiful dress. However, make sure the vest doesn’t hang off your shoulders as that would make for a very sloppy look. With the color contrast on point, red vests can look absolutely gorgeous!